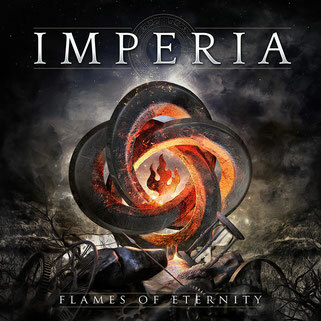 Returning from their break after the release of their 4th album “Tears of Silence” in 2015, the international symphonic metal group Imperia are finally making a return in with a new album “Flames of Eternity”, set to be released on 22 February 2019. Imperia is operating in unchanged line-up for almost 15 years already despite with members spanning from Norway, Finland, and Germany, and you notice right away, that you listening to a band where the musicians know each other inside out. Their ultra-tight and energetic performance lays the stage for Helena's amazing voice that covers the whole range from soft and sensitive to powerful and aggressive, dramatic or operatic, to even grunt vocals at times. The overall tone of the new 12-track album is probably a bit more positive than on the previous albums while taking you on an intense ride through all different kinds of human emotions. Still, Imperia have a very distinctive style and sound of their own, and when Helena sings the first note, you'll know right away which band you're listening to. The original Imperia guitarist John Stam makes a guest appearance on "Unspoken Words", and Finnish Violinist Henrik Perelló contributes to "The Ocean" and "Invisible Tears". The beautiful artwork is, of course, coming from the capable hands of Jan Yrlund himself again. All of this makes "Flames of Eternity" an extremely strong and intense album, that will leave no Imperia fan disappointed and will very likely win them a lot of new fans along the way. Jan Yrlund comments: "The new album Flames of Eternity turned out to be a very varied album. It has a heavy and guitar-oriented sound, but at the same time it's very melodic, operatic and has a lot of symphonic moments on it. The recording process took place in several locations across Europe. We decided to change the scenery a bit. In the past, we've always used the same studio in Germany for the recordings, but this time we travelled with our drummer Steve Wolz to Fantom Studio, located close to Tampere in Finland. A top-notch recording facility with Samu Oittinen, and his expertise on recording metal drums. The guitars were tracked in Finland and the bass by Gerry Verstreken in Belgium, while the vocals and orchestra were recorded in Germany by our long-term friend and collaborator Oliver Philipps, who also appears as a guest singer on ‘Beauty Within’. The orchestra for ‘Fear is an Illusion’ was contributed by Audun Gronnestad in Norway. We are also really happy to get Jacob Hansen on board again for the mix and the mastering. He mixed our 2011 album ‘Secret Passion’, and ‘Flames of Eternity’ just asked for his magical touch!" The album opens with heavy symphonic sweetness with “The Scarred Soul”, immediately you can hear how clear production is for the album and Helena's operatic voice is not being drowned out by the instrumental. The string arrangements with the inclusion of brass parts throughout is the band's way of saying their staying true to their label of symphonic metal. I also appreciate how much they have Gerry's bass stand out. 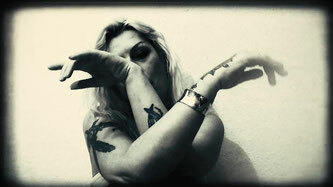 Next song is the album's first single “Fear is an Illusion”, coming with folky acoustic that sounds like it’s being played from a musicbox, until a sudden burst of a Yrlund's progressive riffs and Wolz’s powerful rhythmic drums, and besides Helena's catchy and beautiful vocal melodies, she unleashes her voice's monstrous side with growls in the second aggressive verse. The chorus and the bridge’s sound direction, it's positive and gives and uplifting to listeners about their worth and capability while convincing us that we should never let fear stop us. “Unspoken Words”, less heavy than the other two song but an up-tempo rocker with power metal tones and a sweet progressive electric guitar solo. The vocals expresses a love to someone very much, giving sense of passion and longing along the with the atmospheric keys. Up next, “Book of Love” takes the album to a calm and slower direction with a beautiful piano playing and flute intro, then kicks the instrumentals up a notch with nice chugging bass line and drumming but the band still to hold back their bombastic sound with soaring vocals. “Blinded” bursts right in, taking you on a quick-paced rollercoaster ride with symphonic metal sounds while being blown away by the sheer operatic power of Helena Michaelsen. The full on orchestral arrangements does it's best to keep up with the track to give it a strong epic feel while the breakdown and solo sharpens it's aggressive edges. Next is a power ballad clocking almost at 8-minutes, “Invisible Tears”, going through multiple sections with an amazing rise; starting off like a luallby with piano and acoustic guitar, until being replaced with an electric one, and adding bass work and percussion. With Finnish violin virtuoso Henrik Perelló, the vulnerable side of Helena's vocals, and weaving in a orchestral arrangements gives the song an emotional atmosphere to the ballad and giving an amazing build up. “Otherside” has a catchy folky rhythm that's backed with symphonic elements and a recurring element between verses, the song flows naturally when it comes to merging metal and orchestral music, and with piano adding some beautiful harmonics. An upbeat song when you listen to lyrics and memorable track with the gothic chorus and the violin solo serving as the icing on the cake. A perfect start to the second half of the album after that cinematic ballad. Next “Beauty Within” is an orchestral ballad in the album, but unlike track 5, there’s no metal elements and brings more of Celtic sounds, almost reminiscent to that of Canadian artist LEAH. With vocal contributions by Oliver Philipps of Everon, who's in a relationship with Helena, makes this song a very intimate one for the two singing together with the beautiful orchestrations brings out the romantic feelings. “My Guardian Angel” mistaken for another ballad at the start, the song comes in chugging hard and with low dramatic vocal notes. With progressiveness and a dash of industrial, grinds the track with a dark atmosphere but with tones the enlightens during the chorus as if the guardian angel is watching over you in. Kicking up the momentum with exotic sounds is “The Ocean”, another fascinating side of the band with an oriental theme, proving how varied their sound is when it comes to their unique take of symphonic metal. Next is an intimate piano ballad “A Crying Heart”, a very melancholic song with soft and sorrowful vocals. The final track “Mother” is a song dedicated to Helena’s late mother who tragically passed away in 2004, first heard in her solo project Angel, but it has been stripped all orchestral elements and it has been given the piano version. This will pull at anyone’s heartstrings with the sad and emotional vocals and lyrics to those that have lost a mother or any maternal figure in their life. 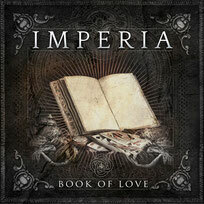 Imperia is what I can say is an underrated gem in the symphonic metal genre, it may not be heavily recognized like the bands Within Temptation, Nightwish, and Epica, but definitely their sound is up to par with the trio. “Flames of Eternity” is a great follow up to “Tears of Silence”, with it's powerful, and well orchestrated sound to it's amazing production work by Jacob Hansen. 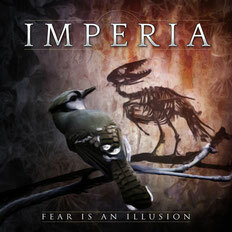 Imperia is definitely a band that should not be overlooked!